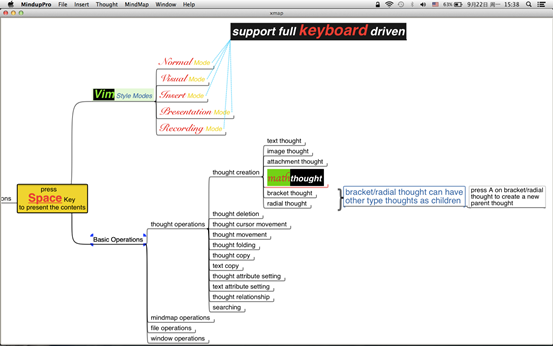 MindupPro is a fast and efficient mind mapping App, supporting full keyboard driven by Vim_style shortcuts. 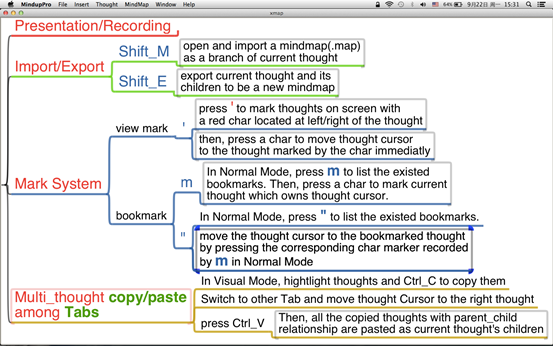 It's suitable for meeting or classroom writing in shorthand. 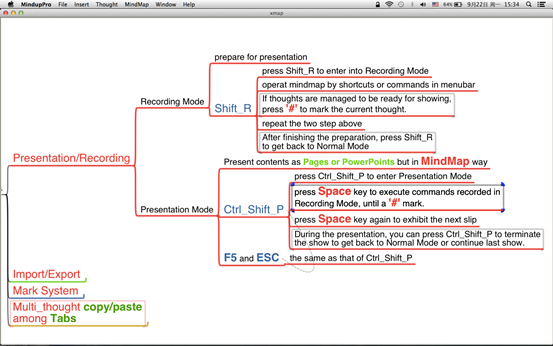 It can also present your contents just like keynote or powerpoint but in mind map style ( try to press ? 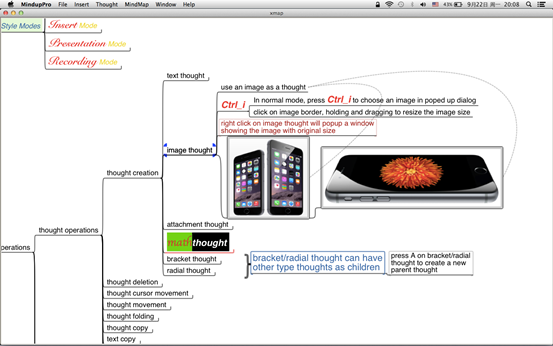 after running the App ) . 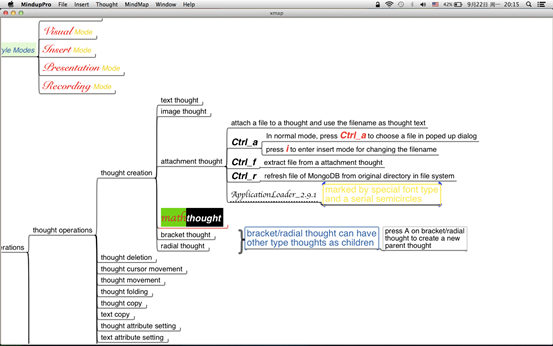 * Load/Save map to MongoDB; Sync to MongoDB when opening a file if it's new; each operation synced to MongoDB.